After serving as Lord Horatio Hornblower’s private secretary during his stint as governor of St. Helena while Napoleon is in exile there, Lieutenant William Brewer is posted as First Lieutenant to HMS Defiant in 1821. The fifty-gun frigate is bound for the West Indies, where it will join Hornblower, now Rear Admiral of the Blue, as part of the squadron stationed there. First, though, Defiant must await her new captain and then seek out information at several American ports before arriving in Jamaica. All Brewer knows of Captain James Norman is that he brought down the French marksman who killed Admiral Horatio Nelson during the Battle of Trafalgar. Norman seems confident and capable when he steps aboard Defiant, and that opinion is reinforced when he asks Brewer to oversee the training of newly commissioned Third Lieutenant John Phillips. Phillips is only sixteen, young for a lieutenant, and he received his commission without presenting himself for the usual examination that would earn him his new rank. Also, he was a midshipman for less than three years, so he has neither the experience nor the education that any of the other lieutenants, including Brewer, have. Norman also tasks Brewer with finding out what exactly Phillips did to warrant this unusual promotion, because there is nothing in the records detailing what happened on his previous ship. What the captain fails to explain to Brewer is that these orders are not so much to test the new lieutenant, as they are to find out just what type of officer Brewer is and whether his loyalties lie with Norman, or his patron, Lord Hornblower. The first inkling that something is amiss comes when Phillips hesitates a moment too long before completing the maneuver the captain orders. Norman reacts by publicly humiliating his third lieutenant. Brewer finds his commanding officer’s mercurial behavior puzzling, especially after Norman sets up Phillips to fail but the lad takes the unusual step of admitting he doesn’t know and seeking guidance from Brewer. Norman reacts by punishing Brewer. Other events aboard the ship, a warning from the sailing master, and learning the truth about Norman’s past, reveal just how precarious Brewer’s position is aboard Defiant. The simmering tempest between the two officers finally comes to a head during a hurricane. Brewer’s Luck is really two stories in one. The first half of the book provides an intricate look at life on a naval ship and how the reputations men gain can impact their lives. Once Defiant arrives in the Caribbean, Brewer, his fellow officers, and the men serving on the frigate, as well as other vessels of the West Indies Squadron, join forces with the US Navy under Commodore David Porter to hunt down a rogue French naval ship whose officers and crew have become pirates. Clues come from an unlikely source – the pirate Jean Laffite – but catching the rogue marauders won’t be easy since they are professionally trained seamen familiar with battle tactics and maneuvers. Keffer is a consummate storyteller who hooks the reader from the first page. The action and adventure unfold much like the hurricane that strikes Defiant. His portrayal of Horatio Hornblower hits the mark, bringing to life this memorable character from C. S. Forester’s novels. William Brewer is equally compelling, and the complex problems he encounters show just how much he has learned from his mentors. There are a number of historical persons who make cameo appearances, and they are as well-drawn as all the other characters populating this book. Brewer’s Luck is a rousing, high seas adventure that pays homage to the Royal Navy during the Age of Sail. Surrounded by fog, Katherine Wilkerson can’t see beyond the ship on which she and her family sail. They are bound for St. Eustacius in the Caribbean, where her father is to take up his new position. Before the day ends, though, he and many others are dead, her mother and the three other women are kidnapped by pirates, and she and the other six girls are left on the ship as the pirate captain departs with a final warning: El Diabolito rules the Caribbean and the British are not welcome! Thus begins Brewer’s Revenge, the second book in the Hornblower’s Legacy series. The prologue serves only to introduce the nefarious scourge plaguing the Caribbean; it also leaves readers wondering what becomes of Katherine because she’s such a compelling character. Following the prologue, the story focuses on Master & Commander William Brewer, who is now the captain of HMS Revenge, a sloop of war converted from a prize he seized from Jean Lafitte. She is his first true command – a fact that makes him nervous, although he does his best not to convey his feelings to his crew – and she is armed with four 18-pound carronades and sixteen 12-pound guns. The driving goal in his life – almost an obsession, really – is to track down and kill El Diabolito, the man responsible for killing men under a younger Brewer’s charge before they could reach Jamaica. Many of the men aboard Revenge were with him on his previous ship, HMS Defiant, but Midshipman Noah Simmons is new. Brewer accepts him only because his mentor and commander, Admiral Hornblower, requested that he do so. Not only is Simmons the newest and oldest midshipman at twenty-three years of age, he’s also the governor’s son and on board because of a “youthful indiscretion” that required him to leave Jamaica as soon as possible. From what he knows and sees of Simmons, Brewer surmises that he’s more accustomed to giving orders than taking them. He’s also good at doing only what’s absolutely necessary to get by; to this end, he bullies the youngest midshipman into doing his duties. When he leaves a mark on the midshipman, Senior Midshipman Jonathan Reed intervenes with the help of the boatswain’s mate, which marks Reed as an enemy as far as Simmons is concerned. His second destination is the French island of Martinique. The governor is less than forthcoming, except when they discuss Napoleon, but Brewer learns much more from the captain of the French frigate anchored in the harbor. Captain Albin Roussin reveals that five warships left his navy when they learned that Louis XVIII ruled France following Napoleon’s abdication. Three were sunk and the fourth hasn’t been seen since it sailed toward Brazil. The fifth vessel, a frigate, is now in the hands of pirates, whose current captain is El Diabolito. 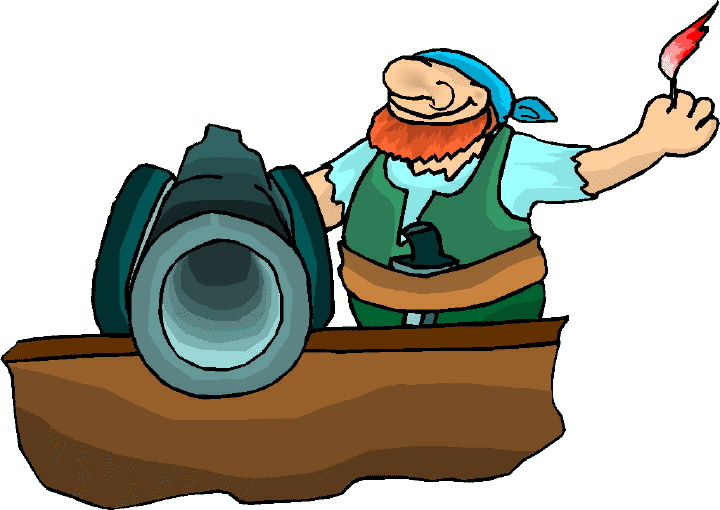 Captain Roussin and his men are in the Caribbean to capture and punish the deserters. After Brewer delivers this information to Hornblower, he hopes to finally go after El Diabolito. Instead, his orders are to cruise off Puerto Rico in search of another Spanish pirate, Roberto Cofresi, whose recent attacks on merchant ships make him a greater threat. 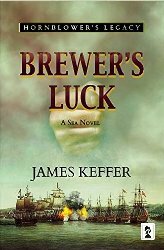 Brewer’s frustration at being thwarted from his true goal leads him to learn a painful lesson about the loneliness of command and just what it means to be responsible for the men who serve under him. Although they do engage the pirates, Cofresi escapes. One of his men, Charles Gibbs, is captured and Brewer learns that El Diabolito requested assistance from Cofresi to help him attack a treasure convoy carrying enough silver and gold to finance revolutions for independence throughout Spanish America for many years. They are to rendezvous in Colombian waters. 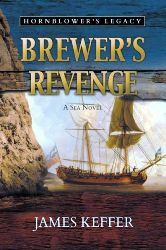 Brewer devises a plan to convince the admiral to send the Revenge in pursuit of the pirates. Unlike the first book in this series, Brewer’s Revenge progresses at a slow pace after the prologue. The first half of the book focuses on introducing the crew and setting up the parameters of the eventual action. Had I not read the first book in the series, I might have set this one aside, for the first half is basically a portrayal of the mundane life of the Royal Navy in times of peace in the early nineteenth century. Those readers stalwart enough to keep reading, though, are richly rewarded once the midpoint of the book is reached. An accidental fall from the tops, an attempted murder, a startling meeting with a respected and admired colleague who soon becomes an enemy, and an unexpected appointment with Simon Bolivar elevate the action until it becomes non-stop and heart pounding. Unforeseen twists add icing to the cake, even if the author takes a liberty or two with the historical record to create a satisfying ending.